ZZ Top Stevie Ray Vaughn and Local Talent too. Now with call ins for request and commentary. Greg Allman Warren Haynes Stevie Ray Vaughn The Allman Bros. 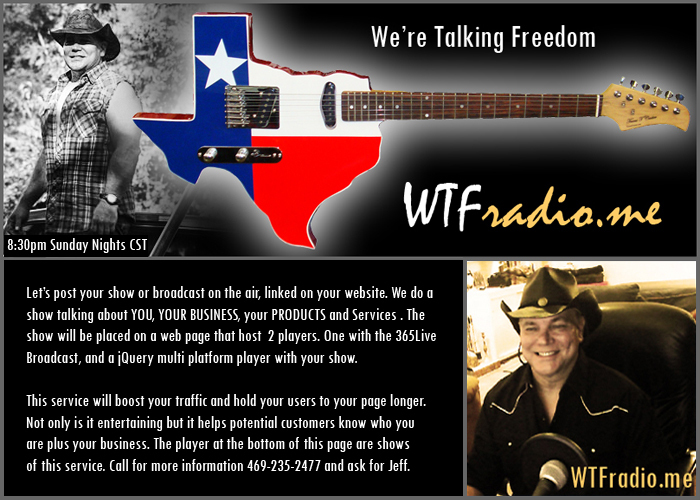 Please Help Support Jeff and WTFradio.me with your $20, $50, $65, $100 Donations.